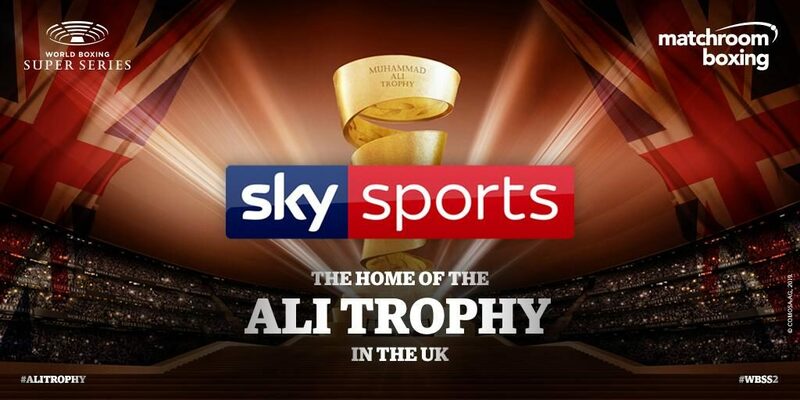 Sky Sports, the UK’s premier sports broadcaster, includes the World’s premier boxing tournament to its schedule with the quest for the Greatest Prize in Boxing, the Ali Trophy, entering the much-anticipated semi-final stage. The WBSS joins top boxing stars such as Anthony Joshua on the UK platform and adds some mouthwatering match-ups over the next few months as the finalists are decided, such as: Nonito Donaire vs Zolani Tete, Regis Prograis vs Kiryl Relikh, Naoya Inoue vs Emmanuel Rodriguez and Ivan Baranchyk vs Josh Taylor. “The WBSS is delighted to be working with Sky Sports and Matchroom Boxing to bring our sensational semi-finals to as many UK fans as possible,” said Kalle Sauerland, Chief Boxing Officer of Comosa, the organiser of World Boxing Super Series. Adam Smith, Head of Sky Sports Boxing, said: “I’ve admired the talent of Josh Taylor for a while and I’ll look forward to another red-hot atmosphere in Glasgow as Taylor bids to become the latest in a line of proud Scottish World champions. 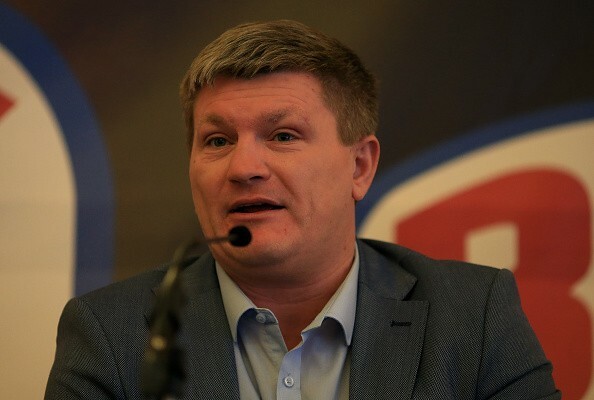 “I’m delighted to bring these fight nights to Sky Sports and particularly pleased to air the big May 18 card from Glasgow,” said Eddie Hearn, Matchroom Boxing Managing Director. The semi-final stage of Season 2 of the World Boxing Super Series opens with USA’s WBC Diamond Champion Regis Prograis (23-0, 19 KOs) facing Belarus’s WBA World Champion Kiryl Relikh (23-2, 19 KOs) in a Super-Lightweight semi-final and the WBC Diamond Champion & WBA Super World Champion, American-Philippine Nonito Donaire (39-5, 25 KOs) meets South Africa’s WBO World Champion Zolani Tete (28-3, 21 KOs) in a Bantamweight semi-final. In a sensational doubleheader of the undefeated: IBF World Champion Ivan Baranchyk (19-0, 12 KOs) of Belarus faces Scotland’s WBC Silver Champ Josh Taylor (14-0, 12 KOs) in a Super-Lightweight semi-final and Japanese superstar and WBA World Champion Naoya Inoue (17-0, 15 KOs) battle it out with Puerto Rico’s IBF titleholder Emmanuel Rodriguez (19-0, 12 KOs) in a Bantamweight semi-final. 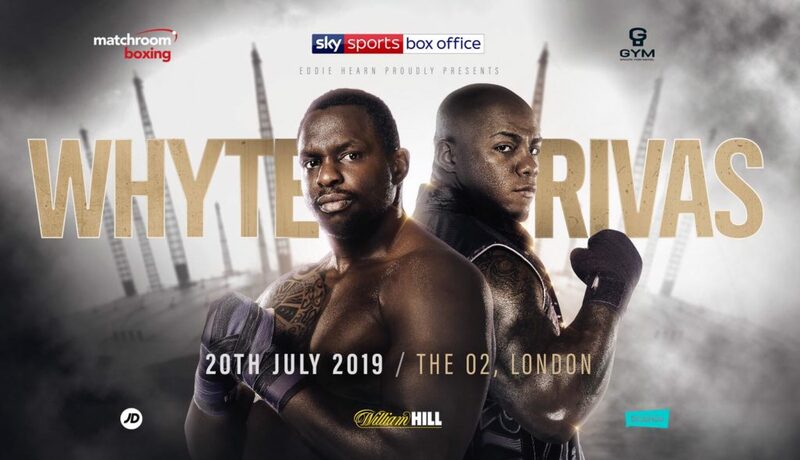 It’s Cruiserweight semi-final extravaganza when Cuba’s Yunier Dorticos (23-1, 21 KOs) faces USA’s Andrew Tabiti (17-0, 13 KOs) and Latvian hero Mairis Briedis (25-1, 18 KOs) meets Poland’s Krzysztof Glowacki (31-1, 19 KOs). Organised by Comosa AG, the World Boxing Super Series kicked off its inaugural season in September 2017, featuring the Cruiserweight and Super-Middleweight divisions. Season 2 started in October 2018 and includes Bantamweight, Super-Lightweight and Cruiserweight. In each weight class, eight elite boxers battle it out in a bracket-style elimination tournament, with four quarter-finals, two semi-finals and one final. This makes for seven top fights per weight class, and a total of 21 fights in Season 2 staged in premier venues around the globe. The winners of the World Boxing Super Series will rightfully receive The Greatest Prize in Boxing, the Muhammad Ali Trophy. Please visit our website www.WorldBoxingSuperSeries.com for more information or follow @WBSuperSeries on Twitter, Facebook, or Instagram. 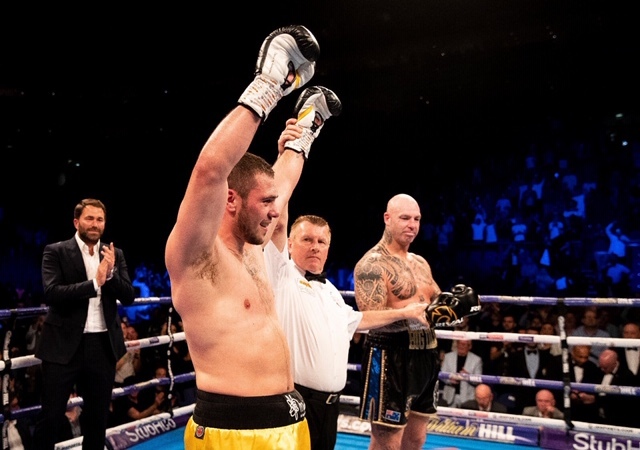 Dave Allen scored a stunning stoppage win over former WBA Heavyweight World Champion Lucas Browne at The O2 in London. ‘White Rhino’ floored his Australian rival with a crunching body shot in the third round of their main event clash. Finchley Heavyweight Derek Chisora bounced back from his December KO loss to Dillian Whyte with a comfortable ten-round decision against Senad Gashi in the evening’s chief support bout. Chisora, now 30-9 (21 KOs), was largely untroubled by his opponent and took the role of the aggressor throughout the fights. The ringside judges scored the fight 100-90, 100-91 and 99-91 respectively. Sunderland Welterweight ace Josh Kelly dominated and dropped previously undefeated Przemyslaw Runowski three times for a comfortable ten round unanimous decision, as he retained his WBA International title. ‘PBK’ had been out of action since a TKO win over Walter Fabian Castillo at the Manchester Arena in November, but the 2016 Olympian, now 9-0, looked as skilful and fluid as ever against the brave Pole. Joe Cordina looked brilliant as he dropped Barnsley’s Andy Townend three times on his way to a sixth round TKO as he picked up the prestigious British Lightweight title in his ninth professional fight. The ‘Welsh Wizard’, making the first defence of his Commonwealth crown, dismantled Townend in brutal fashion and forced an impressive stoppage after a flurry of punches to the head and body downed the ‘KO Kid’ for the third and final time in round six. Rising Welterweight prospect Conor Benn remained unbeaten with a comprehensive points win over Czech Republic’s Josef Zahradnik to move to 14-0 (9 KOs). It was ‘The Destroyer’s’ first outing since his rematch win over Cedrick Peynaud at the same venue way back in July 2018. Benn was on top throughout the eight-round contest and showed no signs of ring rust as he knocked his tough opponent down in the seventh round before being awarded the fight by a 80-71 margin. Explosive Brooklyn Middleweight talent Nikita Ababiy scored yet another knockout win as he progressed to 4-0 (4 KOs) after blitzing Dimitri Faltin in his first professional fight in the UK; Watford Bantamweight starlet Shannon Courtenay picked up her second professional win against Roz Mari Silyanova, outpointing the Bulgarian 40-63; Manchester Cruiserweight Sam Hyde got back to winning ways with a first round KO win over Josef Jurko; Islington Super-Bantamweight Sam Cox notched his fourth career win with a 40-37 points win over Georgi Georgiev and Brixton’s John Harding Jr outpointed Mirsoslav Juna to progress to 7-0-1 (1KO). Explosive Brooklyn Middleweight talent Nikita Ababiy scored yet another knockout win as he progressed to 4-0 (4 KOs) after blitzing Dimitri Faltin in his first professional fight in the UK; Watford Bantamweight starlet Shannon Courtenay picked up her second professional win against Roz Mari Silyanova, outpointing the Bulgarian 40-36; Manchester Cruiserweight Sam Hyde got back to winning ways with a first round KO win over Josef Jurko; Islington Super-Bantamweight Sam Cox notched his fourth career win with a 40-37 points win over Georgi Georgiev and Brixton’s John Harding Jr outpointed Mirsoslav Juna to progress to 7-0-1 (1KO). 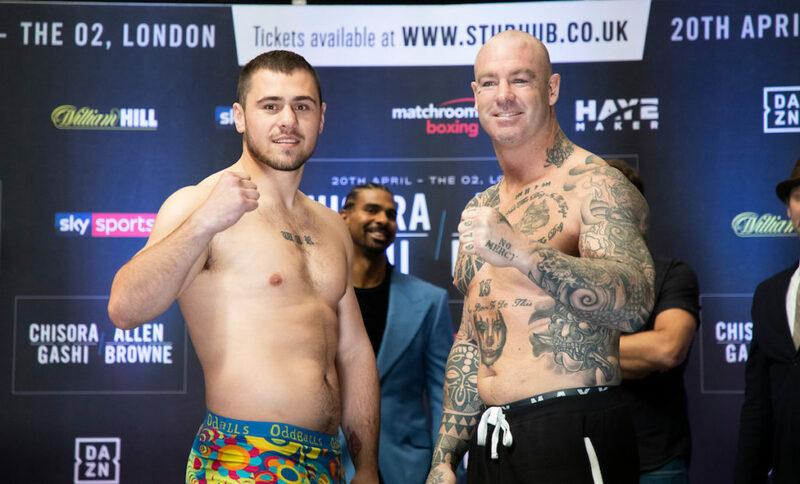 Dave Allen and Lucas Browne Weigh In ahead of their heavyweight fight at the O2 Arena on Saturday Night. 19th April 2019 Picture By Mark Robinson. 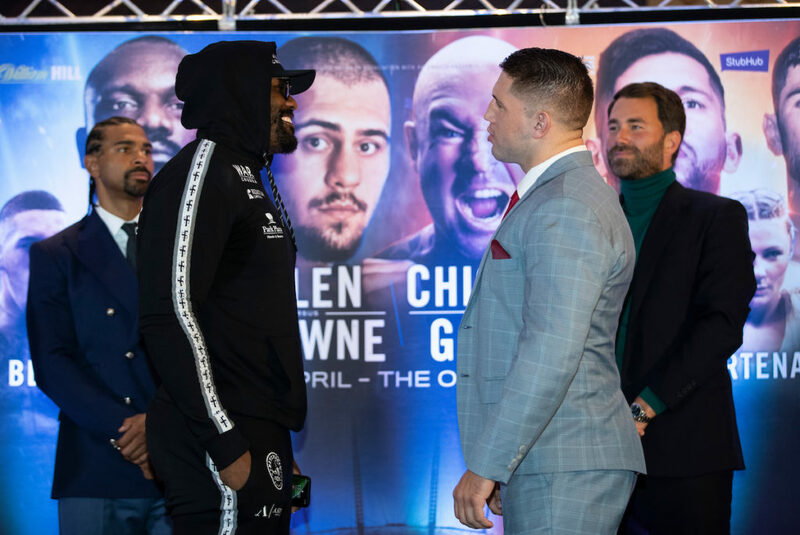 Senad Gashi has promised to go to war with Derek Chisora when the Heavyweight bad boys collide at The O2 in London this Saturday, live on Sky Sports in the UK and DAZN in the US. Gashi (17-2, 17 KOs) returns to The O2 after he was stopped by Carlos Takam in seven rounds on the Whyte vs. Chisora 2 undercard in December. 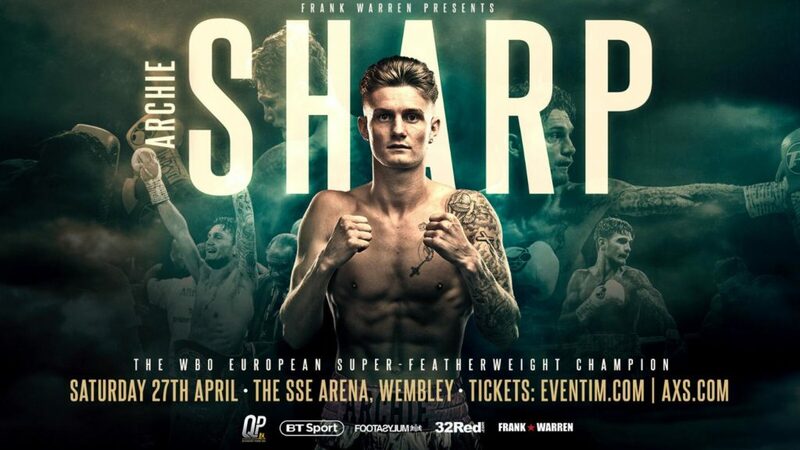 The heavy-hitting German hopes a win over Chisora will push his name towards title action in 2019. “I definitely think I can win against Derek Chisora,” said Gashi. “I have visualised this fight in my head many times. I have fought in my head 10 times against Derek Chisora, nine times I won and one time I got disqualified. “I’m going to make a great fight. I had a great training camp with my team and my coach. I’m going to give my best and the people are going to enjoy it for sure. I’m glad to be back in the UK and this time I’m going to get the win. Chisora vs. Gash is part of a huge night of boxing in the Capital. Doncaster fan favourite Dave Allen (16-4-2, 13 KOs) faces the biggest night of his career against Australia’s former WBA Heavyweight World Champion Lucas Browne (28-1, 14 KOs), Sunderland’s ‘Pretty Boy’ Josh Kelly(8-0, 6 KOs) takes on the toughest opponent of his career to date in the form of unbeaten 17-0 Pole Przemyslaw Runowski and Ilford Welterweight prospect Conor Benn (13-0, 9 KOs) makes his long-awaited return to the ring against Czech Republic’s Josef Zahradnik (10-2, 5KOs), Brooklyn Middleweight prospect Nikita Ababiy (3-0, 3 KOs) makes his UK debut and Watford Bantamweight Shannon Courtenay fights for the second time as a pro after her debut win at the Copper Box Arena. 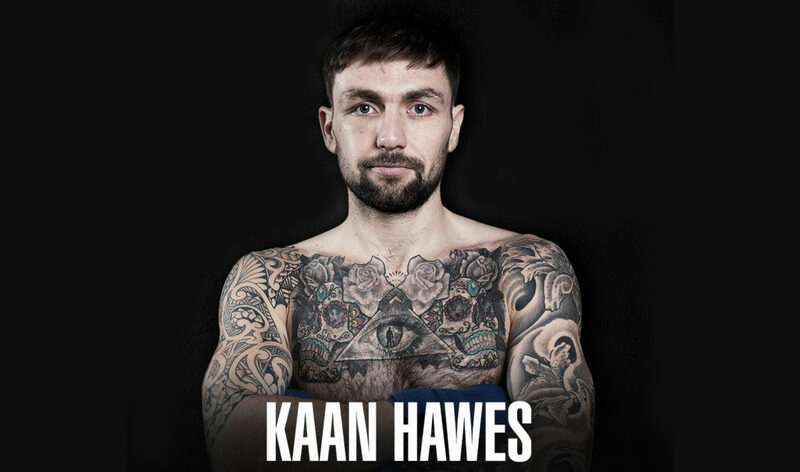 All round sporting talent Kaan Hawes predicts that his superior athleticism will be the key to him winning Ultimate Boxxer III when eight highly rated middleweight gladiators convene at The Indigo at The O2 on Friday 10th May, exclusively live on BT Sport. In cricketing whites, the hard-hitting opening batsman/wicketkeeper captained the first XI at Witham Cricket Club during the summer, whilst during winter months, he patrolled the football pitch as a combative central midfielder for Witham Town FC. 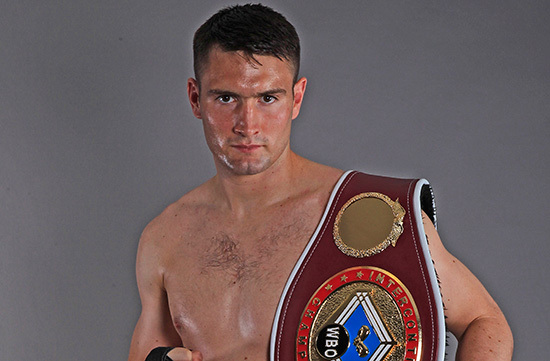 ‘Though I wasn’t really a lairy kid, I had a few fights on the football pitch cos I was ultra-competitive, ‘win at all costs,’’ says 32 year old Kaan who is undefeated in six pro starts since debuting in July 2017. “Olly Murs was a Sunday League team mate and we became close friends because we were both huge Man United fans who’d regularly travel up to Old Trafford in my missus banged out Fiesta. Olly could never fight but he weren’t a bad footballer and he’s really into his boxing and UFC. He’s a regular at all my fights.” Action man Hawes, a plumber by trade, concedes his induction into the Noble Art came about by accident. The innate speed, strength and agility that had served him well in other sports brought immediate success inside the prize-ring. “I had six or seven unlicensed and white-collar fights and won them all bar one which didn’t have a decision,” recalls the Essex boy who was born in Chelmsford but now lives in Witham with his wife and step son. This natural athlete has made rapid progress since shedding his singlet and linking with coach Billy ‘The Bomb’ Long – a former undefeated pro super-middle – at the Box2Burn facility two years ago. “I was already 31 but, from the off, Billy and me decided to just take it one step at a time. Our motto is: ‘We’re in it for a good time, not a long time,” claims Kaan who is yet to meet with defeat in six starts, all at the close to home Brentwood Centre. He knows he will be confronted by a stiff field for the winner’s large share of the £50,000 jackpot at The Indigo but refuses to be deterred. “All the other boys are very good. They’ve only got a handful of losses between them so they’ll all arrive confident,” acknowledges the Carl Greaves managed hopeful. “We all need a bit of luck on the night to avoid cuts and injuries but I’d not have entered if I didn’t think I could win it, providing I perform at my best. And turbo-charged Hawes believes that the high-energy three round format is tailor made for his skill-set. Ultimate Boxxer III features Tey Lynn-Jones, Derrick Osaze, Kieron Conway, Grant Dennis, Sean Phillips, Josh Groombridge, Kaan Hawes and Joe Hurn as they battle it out to become Ultimate Boxxer on Friday 10th May at The Indigo at The O2, exclusively live on BT Sport.An action packed undercard will see the return of highly-rated and undefeated Light-Heavyweight talent and UB II winner Shakan Pitters and unbeaten super-middleweight prospect Idris Virgo who is out to prove to critics he is more than just a reality star. 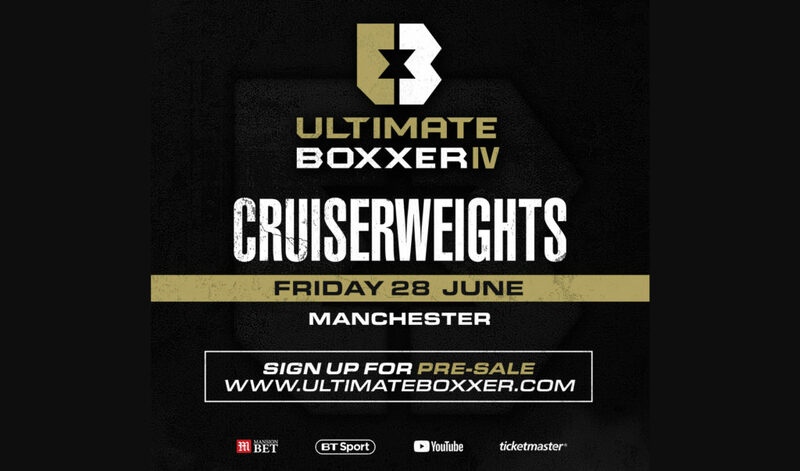 LONDON, UK – 17 APRIL 2019ULTIMATE BOXXER, Britain’s first boxing entertainment brand, announces that the Cruiserweight division will be the showcase for ULTIMATE BOXXER IV on Friday 28th June in Manchester (venue to be announced).